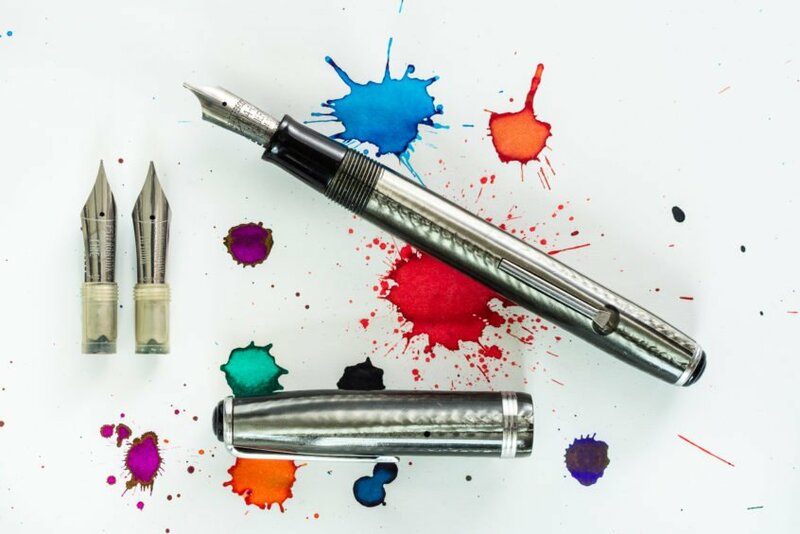 My first love in fountain pens was vintage pens. 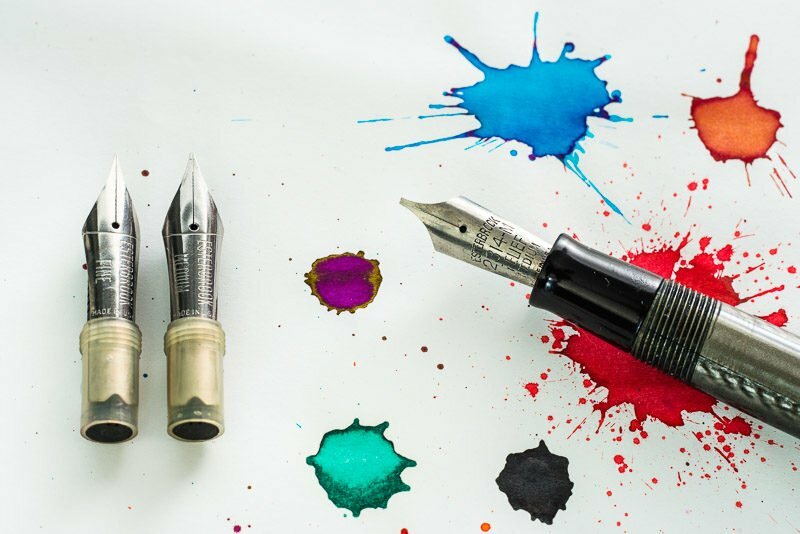 To me, that’s what fountain pens are all about. Of course, there are many amazing modern pens out there, but there’s just something special about using a pen that’s 50 or even 100 years old. I’ve seen a lot of Fountain Pen Day giveaways, but honestly don’t know if I’ve seen a single one giving away a vintage fountain pen. I want to change that! One lucky winner will receive this beautiful gray Esterbrook SJ fountain pen. It was probably manufactured in the 1950s, making it almost 70 years old! It’s been restored and works and looks great. I’m also including three different Esterbrook nibs: a Fine, Medium and 2314-M Relief Stub. This giveaway ends on Friday, November 10 at 11:59pm PST. The winner will be notified on Saturday, November 12. Good luck! One last thing… this is my first giveaway using Gleam. If you run into any problems entering the contest, please contact me and let me know. I love vintage pens, especially Parker and Estabrook. Aren’t they great? I never get tired of using my Esterbrooks. Wow! I’ve been too afraid to go vintage, since I’m fairly new to FPs and don’t know what is a good pen or a pen that needs work. This is a great giveaway!! It can be pretty overwhelming not knowing if a pen is going to work or not, but with a little research and trial and error you’ll figure it out. Best of luck! Omg!!!! This a get giveaway!!! I wish everyone true best of luck! I must say this is an astonishing haw and I very grateful for the opportunity. Thanks very much John ! You are very welcome, Geof. Best of luck! My first pens were my mother’s. 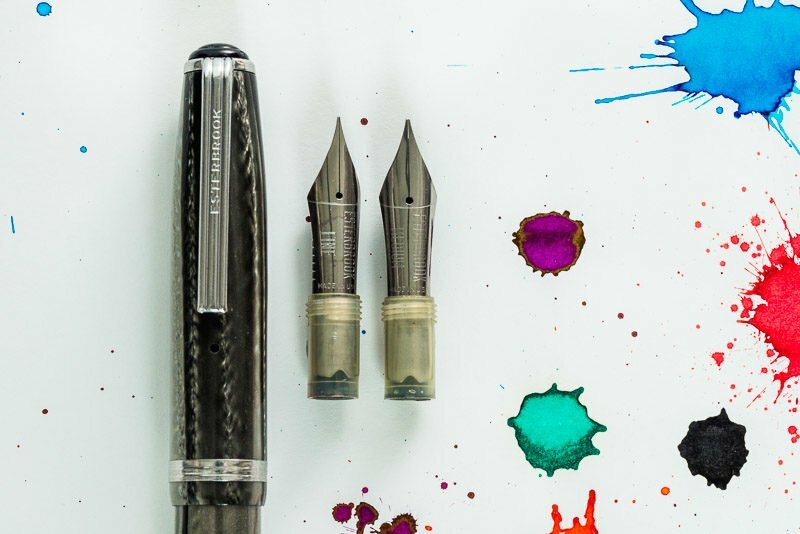 A Lady Sheaffer 904, and Parkers21 and 25. There is something about these old pens. And you’re giving one away. Awesomeness! Thanks for this chance. It’s so wonderful to inherit pens from family members. I’m sure they are very special to you. Happy writing! My first fountain pen is my mom’s Sheaffer Imperial. I just love vintage fountain pen. That’s a great pen! Vintage pens are very special indeed. Thanks for reading! This is a very nice giveaway. Many thanks for the initiative! You are very welcome, Jan! do you have an example of how the relief stub writes? Check out the current story on my Instagram page (should be up for a bit longer) and you can see a writing sample.